Check out the latest episode featuring Tristan, Parker, and Alaina. The students enjoyed a fantastic field trip to Wonder Works. Take a look at the video they filmed on the occasion by clicking here. Inspired by the new iPad commercials, the students remade the commercials to feature their novel study for their semester projects. They used an app called flipbook (has a free lite version) to create the images, the flip video cameras to record, and iMovie to create. Check out their video by clicking here. 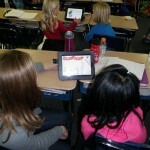 Mind mapping and The Grinch go together like pine trees and glass ornaments. 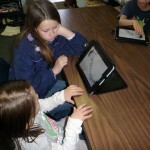 The students worked with our “tech buddies” from Mr. Murray 2nd grade class on main ideas on Thursday. 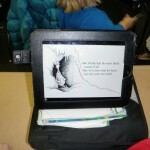 The students read the interactive book app The Grinch and used an app, Idea Sketch, to show the main idea of the story. 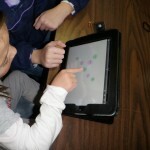 The students had to read the story, write the main idea in the middle shape, and connect detail shapes to the main idea. Students who finished early started characteristic maps of the Grinch. One of the highlights of being a teacher is watching your students teach other students. Check out the latest episode of Tennessee Tech Kids featuring Megan, James, and Sydney.